Writing at work can be frightening. Many people get blocked when forced to put their thoughts into words. In our frantic, numbers-driven world, the importance of clear writing is often over-looked. So how can your employees produce writing that attracts readers and builds a loyal following? And how can they feel more confident about their next writing assignment? This course offers tangible tools and techniques to improve writing. Whether it’s a two-line email or a two-hundred page report, the quality, focus and speed of written communications will increase. The user dashboard: shows key usage stats for the learner such as modules completed, time spent, scores. The filter: series of profile, aspiration and knowledge-level questions to personalise your learning experience. The course: a balanced mix of text, video, downloadable exercises and responsive imagery. Management dashboard: managers can view a summary of staff engagement and review individual staff progress in a single place. Certificates: there are two certificates. One is a log of all modules completed, the other a summary of test scores. No specific technical requirements other than a desire to improve business writing skills for work or career prospects. Professionals, team leaders, managers, analysts and consultants. Structure and plan your writing. Write with style and confidence. 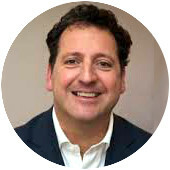 Andreas Loizou has run training courses since 1999 and was the highest-rated speaker on the Financial Times Intro to the City program six years in succession. His clients include governments and financial institutions around the world. Andreas has also signed off research at BNP Paribas, worked in equity research at Goldman Sachs and qualified as a Chartered Accountant with PWC. Andreas is now a Leader in Residence at Leeds University Business School, where he talks to MBAs and Masters in Occupational Psychology about effective communication. "Learning and development had not been created as a continuous activity. Training was often one off interventions with the impact difficult to measure. Filtered has helped us change that in a short period of time. The cultural change it has driven in terms of reinforcing an expectation of continuous learning at all levels is the biggest achievement to me." "We partnered with Filtered because we liked the idea of learners being able to tailor resources based on their knowledge gaps. The quality of reporting data provided allowed us to calculate an ROI of £1.80 for every £1 invested in a licence."